Everyone assumes Avondale is home to all the trendy Birmingham restaurants, but Inverness might surprise you. The Neighborhood Brew is a coffee shop which serves coffee, wine, beer, pastries and more. We asked Michelle Grossmann to answer a few questions about what makes the restaurant so unique. 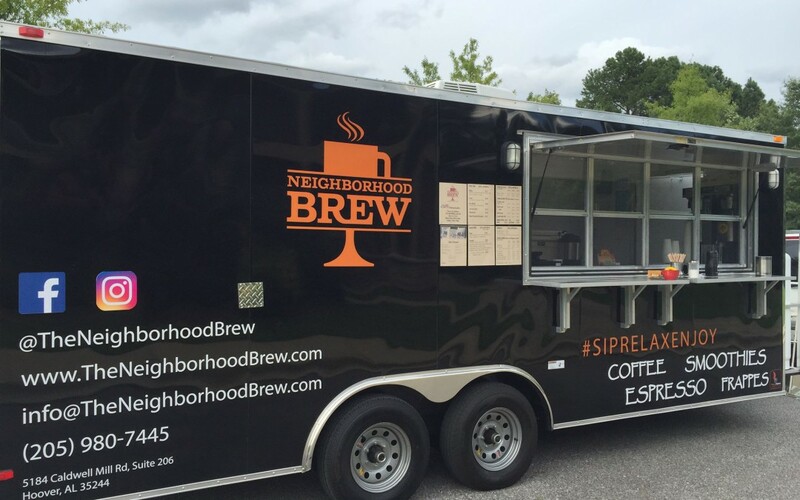 What does it mean for the Neighborhood Brew to be in the Inverness area? The Neighborhood Brew (The Brew) is about building community. Being surrounded by churches as well as public and private schools allows us to do just that by providing a place and environment where there are no socioeconomic lines, just friends and neighbors connecting. What coffee would you recommend to a new costumer? At this time of year, I would recommend our cold brew. This drink is brewed cold so it cuts the acidity and that normal “first bite” that people usually don’t like about coffee. Also, it’s so refreshing on a hot Alabama day! How has Open Mic Night affected the Inverness community? Open mic has provided an outlet on this side of town for our amazing group of local musicians to share their gifts and talents while we sit back and #SipRelaxEnjoy; most of our musicians are sharing their own original music. All ages are welcome! What gave you the idea to have a Coffee Trailer? We had many customers that would say, I wish you were at our soccer game, or I wish you were downtown, or I wish you were closer to my office. Our Coffee Trailer, #Brew2You, allows us to be all those places, spread the word about our coffeehouse and all that we offer there. Where can people expect to see your Coffee Trailer? We post our #Brew2You schedule on Instagram, Facebook and Twitter, so people can #Followthattruck when they can’t make it to The Brew.